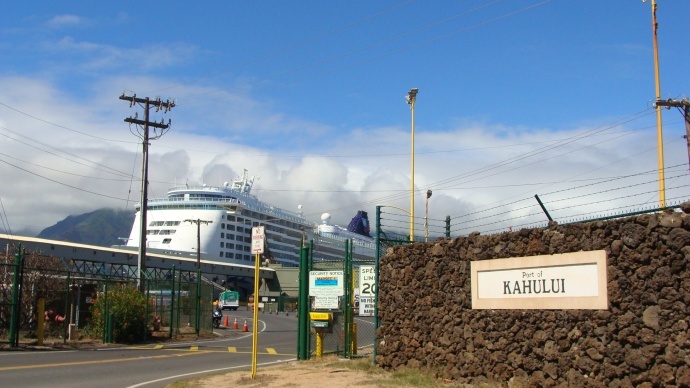 Port of Kahului, file photo by Wendy Osher. 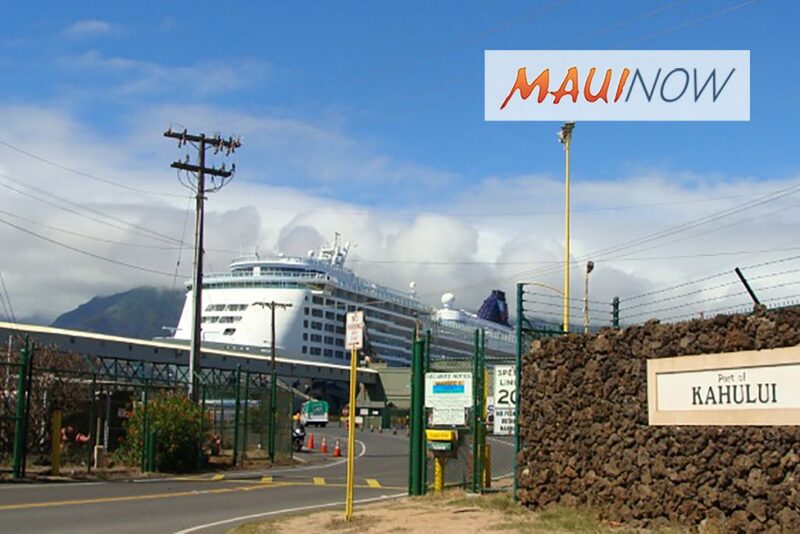 The Coast Guard Captain of the Port set port condition YANKEE for Hawaiʻi and Maui County ports as of 8 a.m. Sunday in advance of Hurricane Olivia. 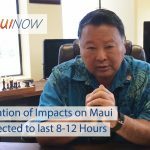 Honolulu and Kauai Counties remain in X-RAY status. Honolulu County will set port condition YANKEE at 6 p.m. Monday followed by Kauai County at 8 p.m. Monday. 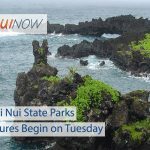 Hawaiʻi and Maui Counties are expected to set port condition ZULU at 8 p.m.
Coast Guard personnel are doing pre-storm assessments of the ports. At Port Heavy Weather Condition YANKEE, the WARNING condition consists of winds above 39 mph expected within 24 hours. At port Heavy Weather Condition X-RAY, the READINESS condition consists of winds above 39 mph expected within 48 hours. Mariners are reminded that our facilities and ports are safest when the inventory of vessels is at a minimum. While port conditions X-RAY and YANKEE remain in effect, port facilities will be open with restrictions. There will be reduced vessel traffic within the affected port, limited transportation of bulk oil and hazardous material within the port, and shore-side facilities will begin to remove debris and make preparations for heavy weather. If and when the Captain of the Port sets port condition ZULU, meaning sustained gale force winds are anticipated within 12 hours, all activity will be suspended, and the ports will close until the storm has passed and damage assessment surveys are completed. For information on Hurricane Lane’s progress and hurricane preparedness, please visit the National Hurricane Center’s webpage. Condition Whiskey (IV): The ALERT condition in which winds above 34 knots (39 mph) are expected within 72 hours. Condition X-Ray (III): The READINESS condition in which winds above 34 knots (39 mph) are expected within 48 hours. Condition Yankee (II): The WARNING condition in which winds above 34 knots (39 mph) are expected within 24 hours. Condition Zulu (I): The DANGER condition in which winds above 34 knots (39 mph) are expected within 12 hours and until the storm has passed and is no longer a threat.